Today I wish share with you all a fantastic recipe done by a wonderful Chef, Pragya Monga, author of the amazing blog Cook and Share. Please take the time to visit her blog and follow her, is truly inspirational! 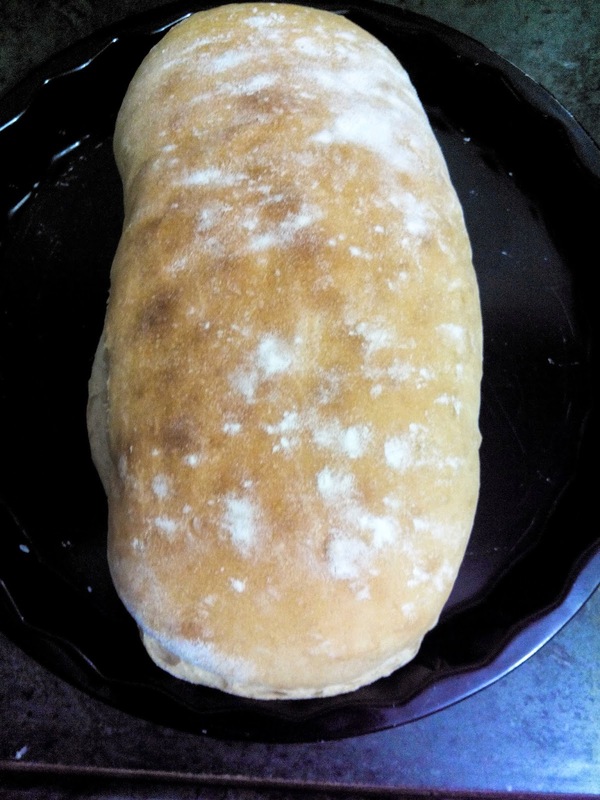 Ciabattas are generally flat, broad, long stretch baked bread popular in Italy. Little crunch from outside and Pillowy soft from inside, Perfect for sandwiches which are infused with garlic, olive oil and dried herbs, and the same goes well with soup too. 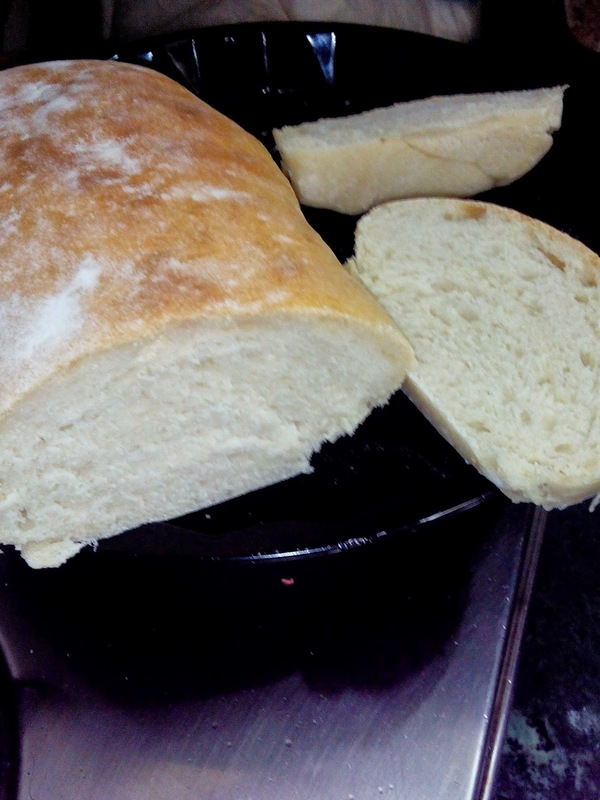 This bread can me made in to various other variation, i.e, with Italian stuffings (garlic, parmesan, dried / fresh herbs, sliced onions..and many more), can make Small Ciabatta Dinner buns/rolls out of it….It tastes really good. With various other variation, its really worth making it…do try it.. Temperature is quite warm and moist here so thought to take advantage of it by making Ciabatta loaf.. Believe me this bread will live a happy and satisfied smile on your face…. *some more flour and oil for dusting and greasing respectively. In a bowl, Mix all purpose flour with salt, water and Instant dry yeast. Stir all well and cover the bowl with a plastic cling film. Let it rest overnight or approximately around 12 hours without disturbing. Slowly gradually you will notice little rise in the mixture and small bubbles in it..let it be as it is and do not disturb the process. 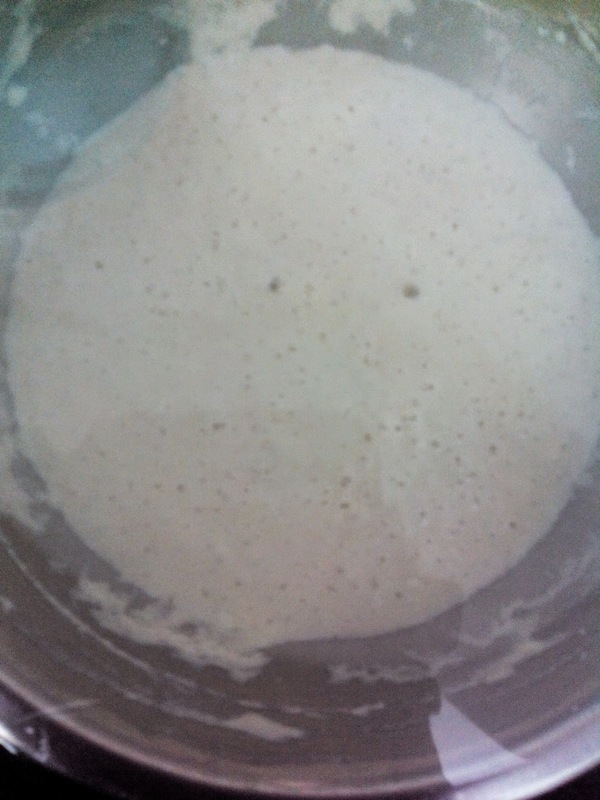 In a small bowl dissolve yeast in luke warm water for 10 minutes or until frothy. 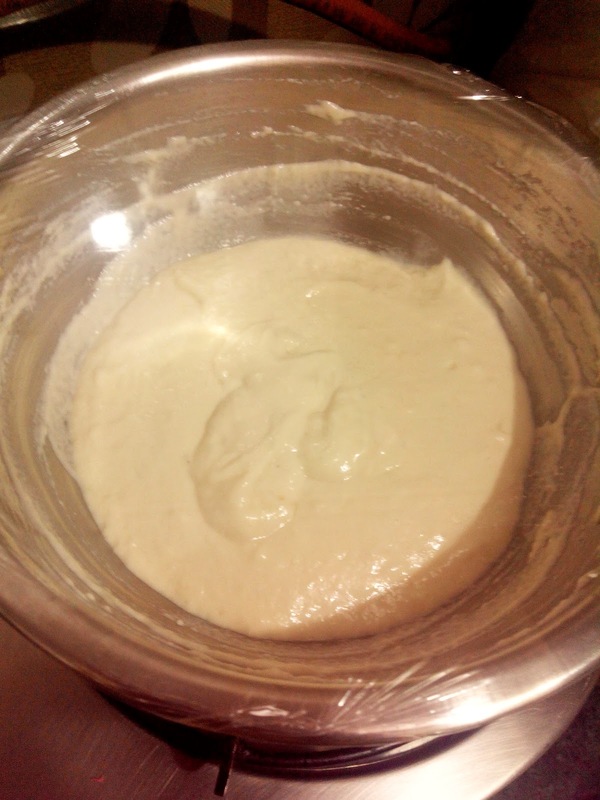 In a large bowl Mix all purpose flour, salt, dissolved frothy yeast mixture, Olive oil and Biga mixture together. Mix until all is gathered and forms a sticky dough. 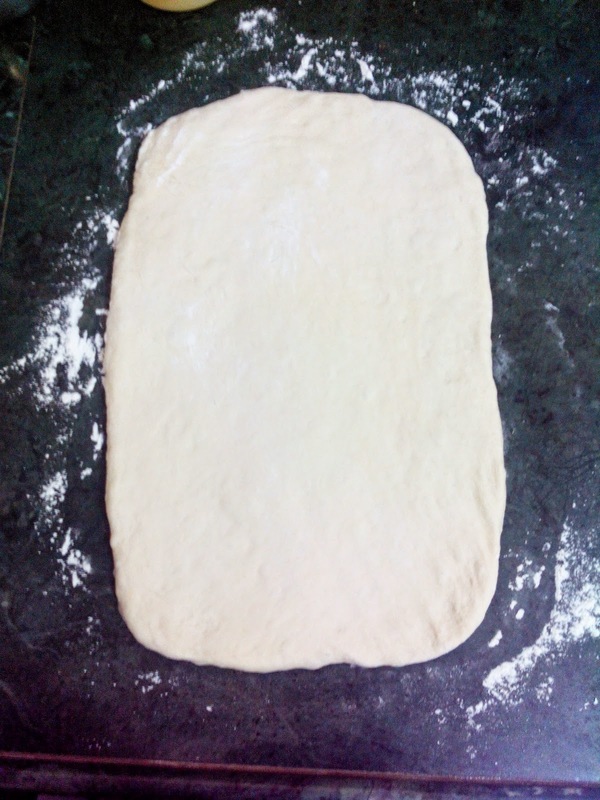 Dust a little flour on work surface, knead the sticky dough for about 7-8 minutes, until soft, smooth and elastic. 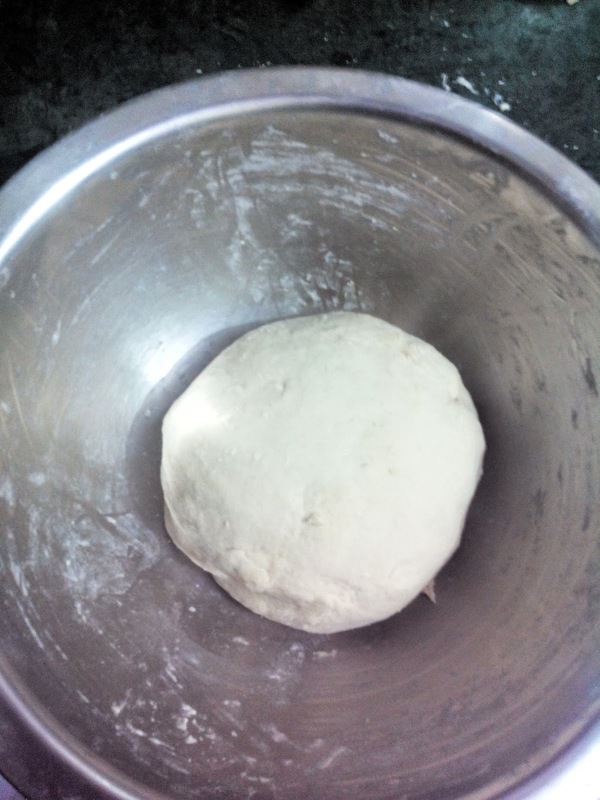 (Use only little flour for dusting and kneading and not much). 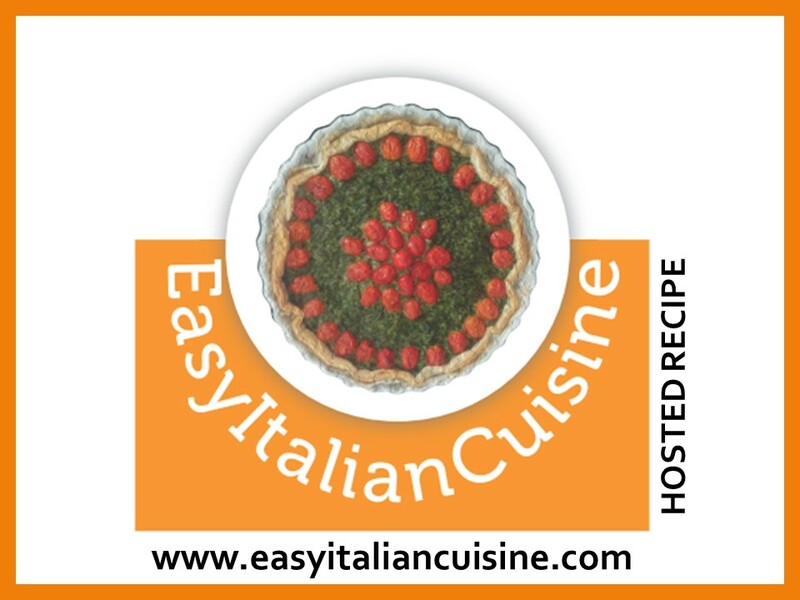 Grease the dough with olive oil, place it in a bowl and cover with a plastic cling film. 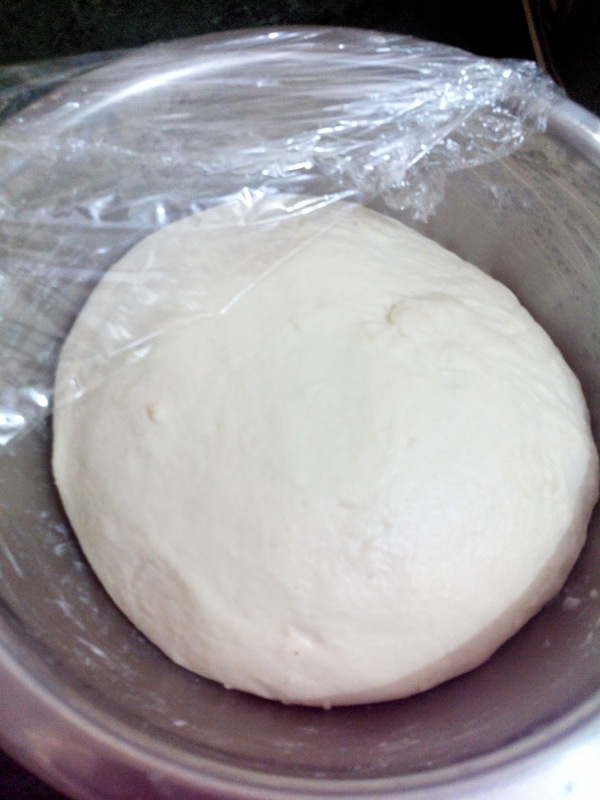 Allow it to rise for about 1 hour or until the dough doubles in volume. Once it doubles up, punch the dough down. 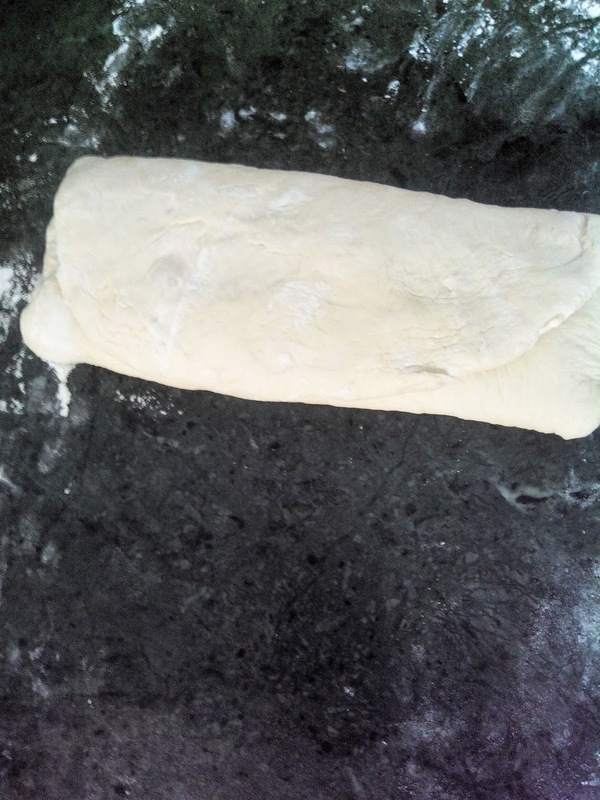 Dust the work surface with little flour, knead the dough in a rectangular shape with rolling pin. 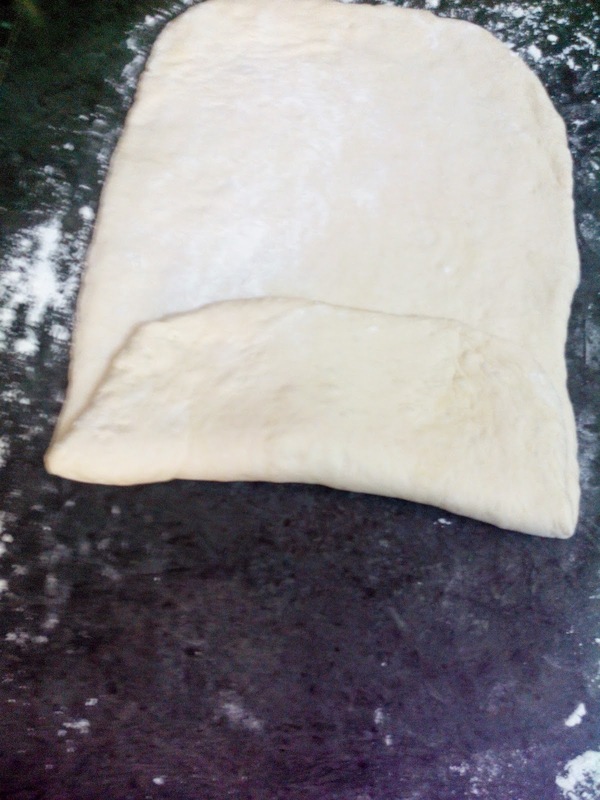 Make three folds to the rolled dough to give a loaf like shape and place it on a baking tray. 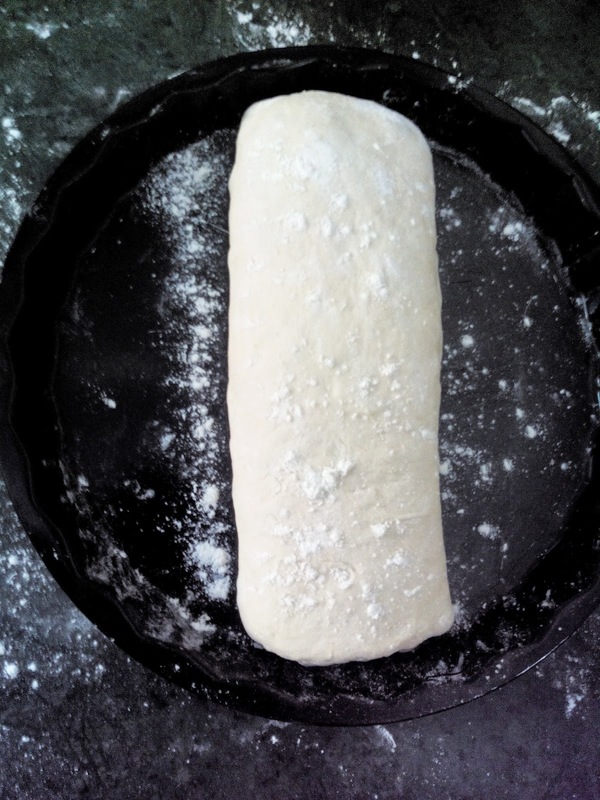 Cover the dough of baking tray with tea towel and let it rise again for 1 hour or until doubles in volume. Pre-heat oven at 220 degree Celsius. Sprinkle little flour on top of the dough before going inside oven. Bake for 20-22 minutes or until crust turn light brown and tapping gives hollow sound. Place baked bread on a wire rack and allow it to cool completely. Micalela thanks a ton for the lovely honour…i am obliged..